THE BRITISH RAILWAY STORIES LTD: "Hornby Gresley N2: Is it an Olympian?" 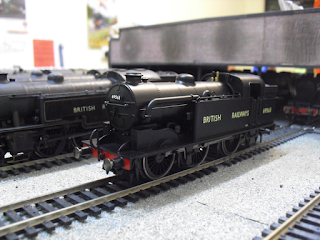 I managed to get what I consider to be the bargain of the century last weekend: no less than four of Hornby's Olympic 1948 train packs, which include a partially retooled Hornby Gresley N2, and a pair of Hornby's top of the range teak models...for just £59. £59! For a train pack with an RRP in excess of £200! It was too good to pass up. 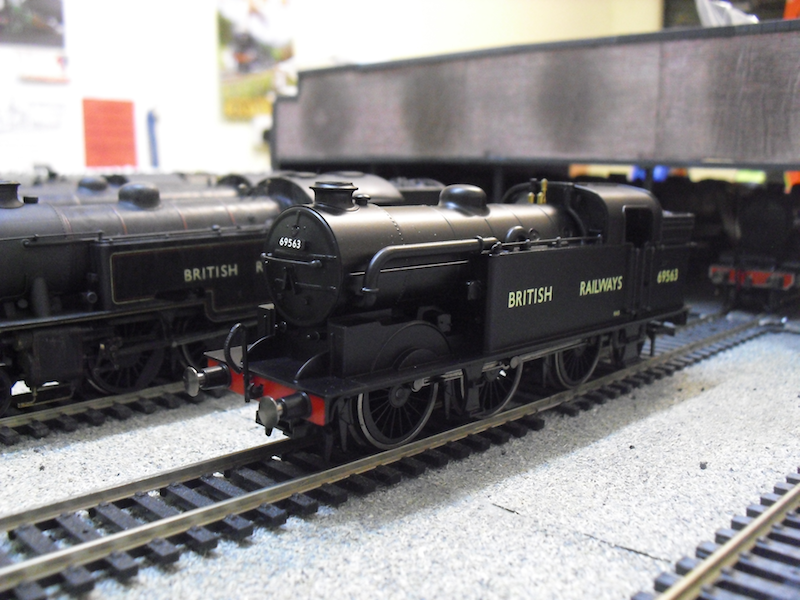 I have already decided that I will offset the cost of the train packs I bought by selling off some unneeded Bachmann Mk1s and Gresley teaks in carmine and cream livery. 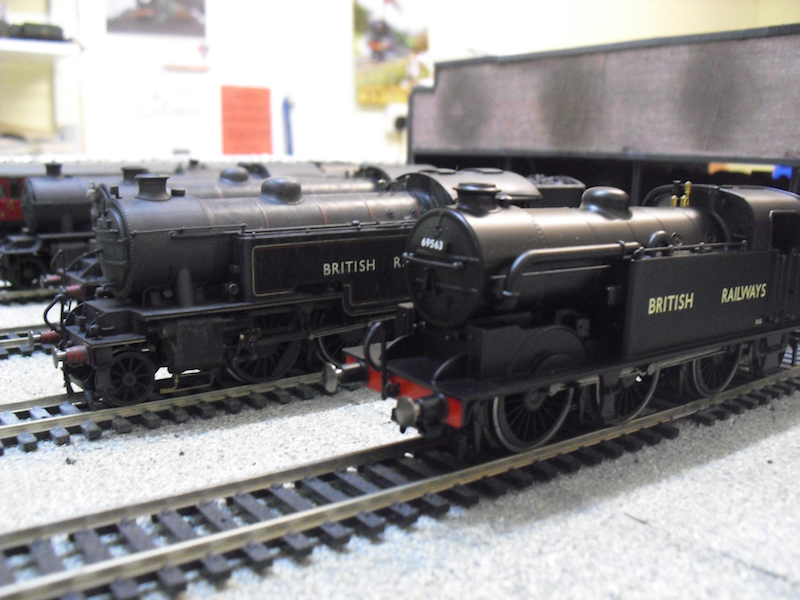 Going for the years 1948-50 for my next layout absolutely means going 1948-50! I'm genuinely surprised by how nice the model is. The finish on the model is miles better than previous incarnations, particularly the numbering and lettering on the tank and bunker sides. The safety valves and whistle are not from the old model, but new items altogether, getting the shape much better than on the previous inherited tooling. The whistle in particular is a thing of beauty, proper turned metal forming the distinctive bell shape rather nicely. 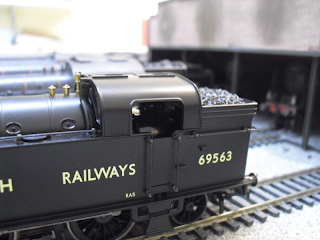 Hornby upgraded their N2 model with a new DCC ready chassis, and have included a surprising addition of sprung buffers and a few other cosmetic changes to bring the N2 up to a reasonable standard, though it is a disappointment to note that it does not have NEM pockets, which surely should have been included in the tooling up of a new chassis? In addition, the mechanism still protrudes into the cab. I suspect a carefully placed driver and fireman each side will make this more difficult to make out in the darkness of the cab! Overall I'm actually very happy with it. Having got a few of these at so cheap a price with the post nationalisation teak coaches, it was well worth holding on until now to buy it. 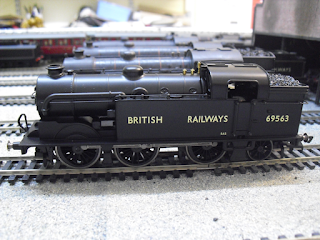 At full RRP I don't think Hornby went far enough in their retooling to justify the high price, but in the end the model itself is more than adequate for that intended, and will probably produce a very nice model when renumbered and weathered. On that note, why did Hornby pick that number? It's one of the Scottish region ones which didn't have condensing apparatus. Most strange! For all its minor niggly faults, I can't help but grin when I look at Hornby's N2. One of these has been sat on my train set every year for as long as I can remember, and I was always disappointed with the running qualities. It sounded like a right bag of spanners! This new version is sublime. Very smooth, quiet and surprisingly powerful despite being much, much lighter than the version it replaces. Overall it's a thumbs up from me but I wish Hornby had gone just a little further with their retooling of the N2. NEM pockets for the couplings, the mechanism going further forward under the boiler, and perhaps one of their excellent standard couplings (supplied with the recent Thompson L1, B1, O1 and B17 models as standard) for the front bufferbeam. Until next time, when I will be researching suitable numbers and trying out some more weathering techniques on this most handsome of tank locomotive designs.